This is a very broad field of dentistry, as it ranges from orthodontic manoeuvers to align and correct malocclusions, to surgical techniques on a bone and soft tissue level, or to techniques applied directly to teeth to improve their shape and colour. Dental whitening consists of the appliance of hydrogen peroxide products to the tooth surface that thanks to a heat source whiten the tooth enamel. For best results, we must ensure there are no risk factors or any oral pathology to the exposition of these products. It is important to assess each case and eating habits for successful treatment indications. When there is any type of fracture in the tooth, or significant changes in colour and texture, or altered forms, we can proceed to rebuild the tooth with composite materials without the need of a laboratory intervention. Porcelain veneers are thin pieces that recreate the natural appearance of teeth. Porcelain veneers give teeth a comparable strength to that of the enamel. Porcelain is the material of choice in cases of minor position changes, shape, size or colour. There are different types of porcelain veneers and different brands. One of them is the well-known Lumineers. 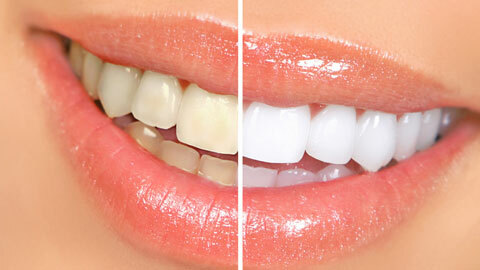 These veneers are very thin; there is almost no need of cutting the tooth, which is a great advantage. However, if the aesthetic demands of the patient are very high, they may not be the ideal solution.